Jinny Beauty Supply | The BEST and largest multi-cultural & ethnic beauty supply wholesale distributor in the world. We are the Best and Largest Multi-Cultural & Ethnic Beauty Supply Distributor in the World! With have over 38 years of experience in the beauty industry, Jinny Beauty Supply provides you with the utmost service, products & prices! Our warehouse inventory has over 60,000 different items representing over 400 domestic and international manufacturers. When you choose to partner with Jinny – you’re embarking on a partnership with a business who will look out for your best interests and work hard to help you be successful. 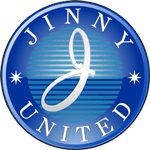 Jinny has the largest selection of beauty supplies and general merchandise in the country. Our warehouse inventory has over 60,000 different items representing over 400 domestic and international manufacturers. With locations in the biggest cities across the US, we offer Next Day delivery available to most of our biggest customers. Servicing to Africa, Europe, South America & the Caribbean is provided by trained sales staff who speak English, Spanish, French & Korean. Each of Jinny’s brands serve customers in different ways, but all focus on making peoples’ lives a little bit more beautiful. The newest products that Jinny Beauty Supply has to offer. Jinny offers our customers the Best Prices, Promotions and Deals! We have the inventory to back up our low prices, how many other distributors can say that. With over 7,200 independent OTC stores and small distributors, Jinny offers the largest multi-cultural & ethnic beauty supply distributing network in the world. Do you have a question or a comment for us? 100% Customer Service is Our Ultimate Goal! Reach out to us and we’ll respond as soon as we can. We are the best in this business!